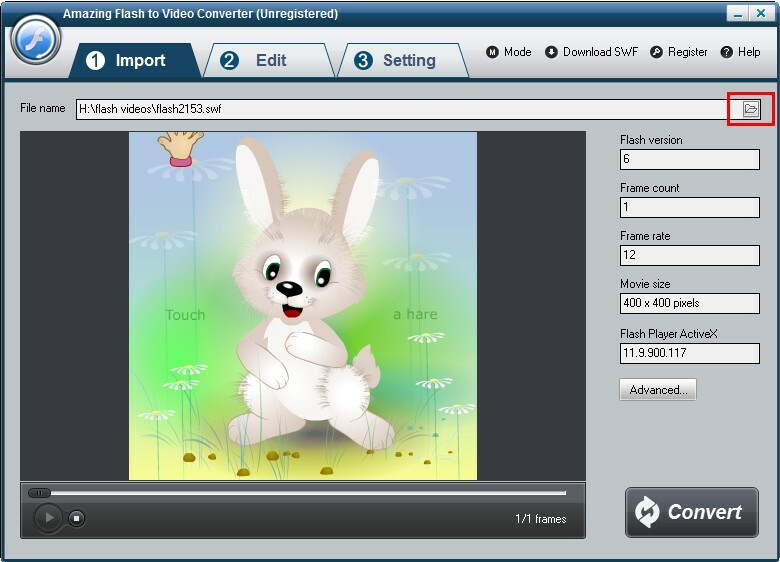 Amazing Flash to Video Converter is a powerful SWF to Video Converter tool which allows users to batch convert flash .swf files to popular video formats at one time in a click including MP4, AVI, WMV, MKV, FLV, MOV, MPG, HTML5 video and GIF files. 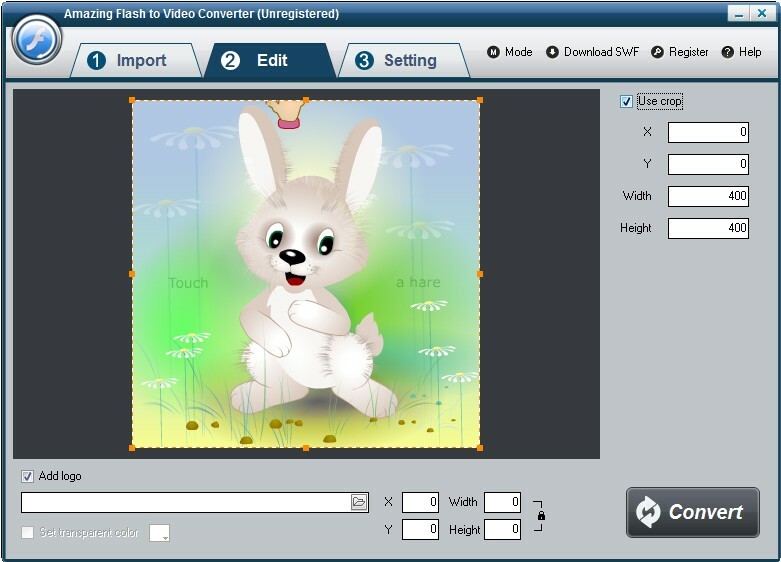 Flash to Video Converter enables you to add customized watermark on the output file to present or claim your authority, color your video in a unique way, crop video to create video with different screen size to meet your digital players' need, customize the frame rate, bit rate, resolution and even aspect ratio for an ideal playback effect. Its plug-in SWF Video Downloader can download .swf file from internet directly. If you want to convert online SWF file to other video format, just input URL address, and then start SWF to video conversion. 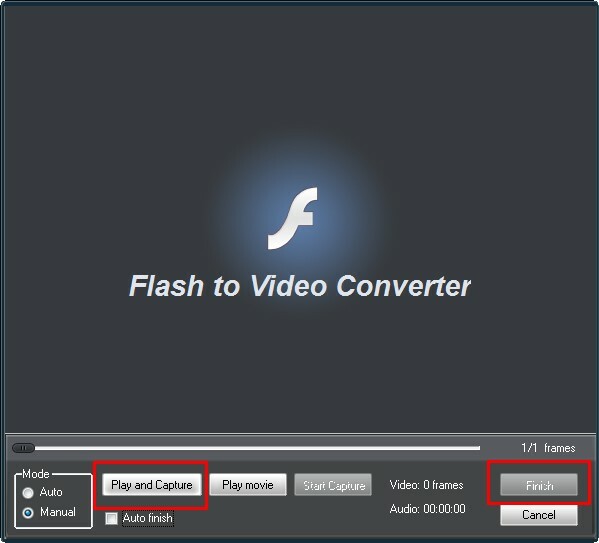 3 steps to convert flash .swf file to video: step1, launch Flash to Video Converter software on your computer; step2, import swf files; step3, select output video format and click "Convert" button. 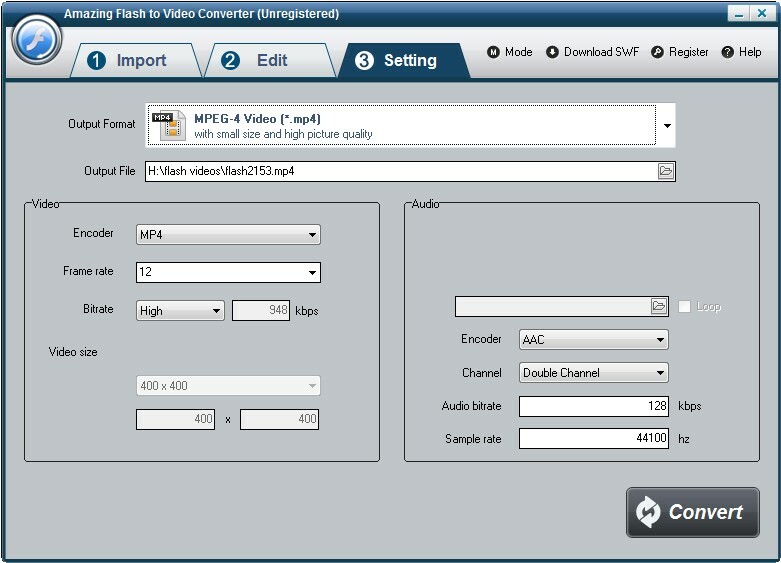 Carrie - Convert SWF files to all popular video formats. Ailsa - It is the best SWF to MP4 Converter which preserves original video quality after conversion. Creat photo galleries and slideshows for personal & business use.